There have been numerous studies linking the benefits of sleeping and a healthy lifestyle. One primary benefit is how your body's metabolism reacts both when sleeping and awake. The American Journal of Clinical Nutrition has reported that even while awake, fully rested people tend to burn up to 5% more calories than someone sleep deprived. The average person depending on age could require up to 8 1/2 of sleep each night. While most people suffer from close to only 6 hours of sleep. Most people tend to stay up too late, which can lead to late night snacking. When going to bed with a full stomach your digestive system slows down and a higher percentage of food you consumed is stored as fat. Going to bed sooner not only gets you your required sleep quota, but can help ward off late night cravings. This might seem like such an obvious answer, but so many people focus on just one aspect. There is not magic pill, workout, supplement, or any other one element that will give you the body you desire. It is the combination of both. If you read any advertising for just about anything health related there is always a footnote stating that results are only typical and expected when combined with "diet and exercise." If your goals are to gain weight and muscle, focus on a strong protein based healthy diet. Don't cheat yourself and just eat unhealthy knowing you're trying to bulk anyways. Is your goal to lose fat? Doing 1000's of crunches in the gym won't get you anywhere if you are still consuming too many calories. Don't expect one aspect of diet or exercise to drastically change your body. Use them in conjunction with each other! Fat Free! Low Fat! Low Sodium! Gluten Free! No Sugar! Admit it, when you are on a diet on see this logo plastered all over the product your buying you feel like you have taken a step in the right direction. In reality though you fell to popular misleading advertising tricks. "Low" or "free" of anything usually means one of two things. They pack the food with another unhealthy element such as sugar, fat, or sodium to make up for the taste. Or they simply just mean they are lower than "comparable" products. Yeah those cookies are "low fat," but that's compared a tub of crisco based giant cookies. Diet soda is often advertised as "sugar free" but they substitute in aspartame and other artificial sweeteners that can be just as harmful to your health. What you should do is carefully read the labels on all the foods you buy. Understand that low or free doesn't necessarily mean healthy. Ideally you want to stick to unprocessed fruits and vegetables. And of course, please seek a professional before any dedicated diet. #2- Hydrogen Monoxide aka H2O aka Water! The easiest way to lose weight fast is to keep hydrated. Don't believe the myths that drinking too much water will make you gain water weight. Multiple studies have shown that about half of American's are under hydrated. Drinking water helps regulate body temperature, boost metabolism, naturally moisturize skin, lubricates joints, builds muscles, and countless more! The best benefit to adding a steady stream of water to your diet is that it takes away the appetite for unhealthy alternatives. In fact most people confuse hunger with thirst. Then they grab a salty snack like chips and it just infuses the vicious cycle. Drink a glass of water before every meal. This will help make you feel fuller faster and make portion control easier. Water is also a great substitute for sugary drinks and helps limits calories. Many reports vary in how much water you should be drinking, but a safe bet is to be drinking at least 6 glasses of water spaced throughout the day combined with a natural diet. Depending on your level of exercise you might want to be drinking a bit more to replenish lost fluids. #1 - This is a Lifestyle Change! Don't fall into the mindset of "I will follow X diet for 6 weeks to lose Y pounds." You are only setting yourself up for failure which will lead to demotivate yourself. While it is o.k. to set goals for yourself, keep in mind being healthy is a conscious lifestyle change. 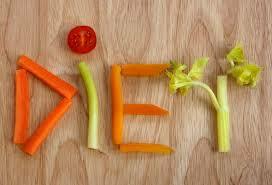 Being healthy is a combination of some many different aspects of your life you will have to make changes. But they will be for the better! Diets and fads will always change. Every year a new study will say to eat more of this or less of that. The one goal in your mind though is to always be healthy. Don't worry about trying to follow a strict diet down to the calorie. Focus on transitioning to a healthier diet, and make sure you incorporate some exercise. Even if that means just walking around the block for 10 minutes a day. Get started somewhere!